Parkwood Springs band new dual track is open. The 11th - 13th of March Sheffield is full of the outdoors! Activities lectures films all the good stuff. Get involved! The Team at Ride Sheffield have been working hard going to meetings and liaising with regulatory bodies to improve access for Mountain Bikers and actually led the UKs first crowd funded trail Lady Cannings. This has be a huge success and at the Ride Sheffield annual get together last Monday RADMires was announced. (The name RADMires came about as the area is known as Redmires due to the reservoir you pass on route. Its currently not very RAD though). Heres what the team had to say but below is the important bit. – £75,000 raised between crowd funding, local business donations and Go Outdoors major contribution to complete Phase 1 and the additional trails to be built in 2016. Our great ally Jon Dallow at Sheffield City Council has given us the green light to build a descending trail in the woods which run alongside the byway up to Stannage Pole from Redmires Road. It will enter the woods at the top corner just below the existing gate in the byway, and descend 1.8km down to Redmires Road. This is 50% longer than Lady Cannings Phase 1 opened earlier this summer. The Biketrack lads have been up there and are very excited about the possibilities, and the quality of the material on site. Design will be similar to Lady Cannings; Blue grade flow trail in that signature “the faster you go the tougher it is” style which makes that trail so much fun, yet so accessible to all abilities. The added interest this time is that there are some land features and gradients available in the woods which will allow some red/black (grade TBC once built and assessed) opt ins to keep things really interesting for more advanced riders. The intention here is to not only add another brilliant link to our trail network, but also add some progression. As new riders enjoy and develop their skills at Lady Cannings, RADmires aims to up the intensity a little to act as a bridge between Lady Cannings and some of the jumpier, faster, more featured trails over at Greno, and the rockier, steeper, more technical trails around Stannage, Blacka Moor and Rivelin. Bottom line is that we need £45,000 to make this happen. If we get the money flowing in soon we will be using it to get planning permission and full design complete so that it will be open Summer 2017. We already made £1250 at the event last night, so we’re on our way! You know how amazing Lady Cannings is. You know that we can make this happen with the money behind us. You just KNOW RADmires is going to be, well, RAD!! So, get involved, raise some money, give some money, hassle your boss to put some company money into a great community project. So long as it’s legally obtained, we don’t really care where it comes from, JUST GIVE US YOUR MONEY!!!! Did I mention you need to GIVE US YOUR MONEY? We had a private session with a couple of pinners from Bristol, Keith and Jason. When Jason busted out a caterpillar I knew it was one for you lot to practice! Would you use this as a trail "tool" nope. Why doit. Its fun isnt it :-). Find something you cant do practice till you can. Slow speed control, balance and movement - The building blocks of everything! Shoes are unbelievable important. They are the main contact point with your bike. Get a pair that fit and appropriate for the task! 1. Much better fit (than my previous shoes). 2. Recessed cleat so I get the benefit of support from the pedal cage. 3. 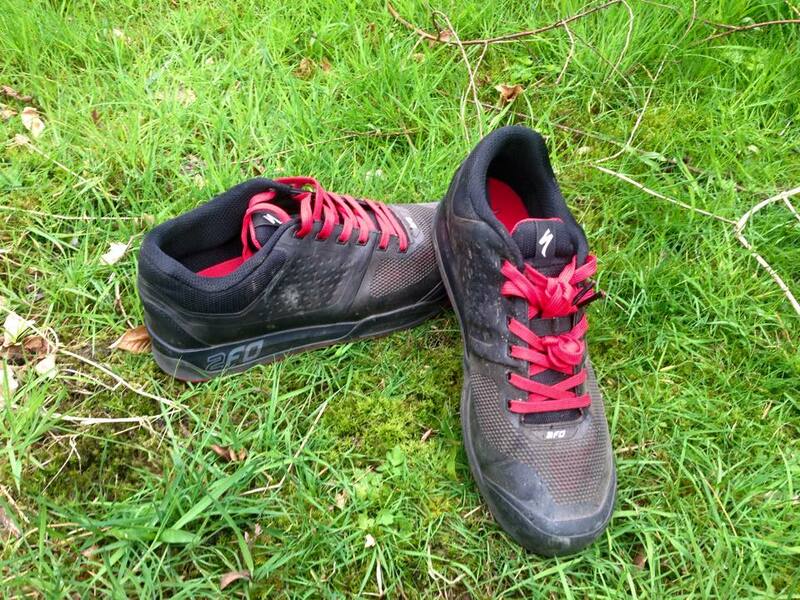 Far more support with a stiffer sole and all over stiffer shoe. 4. Excellent cleat movement, I can get these as far back as I need. So far, really impressed. The biggest thing for shoes will always be fit and with my narrow heel, relatively general forefoot and low volume these take good care of these hotdogs. Theres also far more support than you may expect. They look like a trainer but actually perform more like the more traditional SPD shoe. The sides and the tongue are really stiff. So down sides.... The extra support is provided by the stiffness in the sole but also the sides. This is something which has caused some mild discomfort in one pressure point (right ankle) over the last 3 days of riding. This is something Im sure will disappear as they mold to feet but I will keeping an eye on them. Thats the only downside and it's a result of one of the benefits - typical. If you're looking for some new SPDs these are brilliant. Possibly the best I have ever had. Will post some pics in a years time :-). I bought mine from JE James in Sheffield for just under £100. All Specialized dealers should be able to order them in, if they don't stock them. Well you may remember our 5:10 review last year? They have bitten the dust. 1. The fit never was quite right (and this is the main one). 2. The soles where soft. My feet actually got tired. 3. 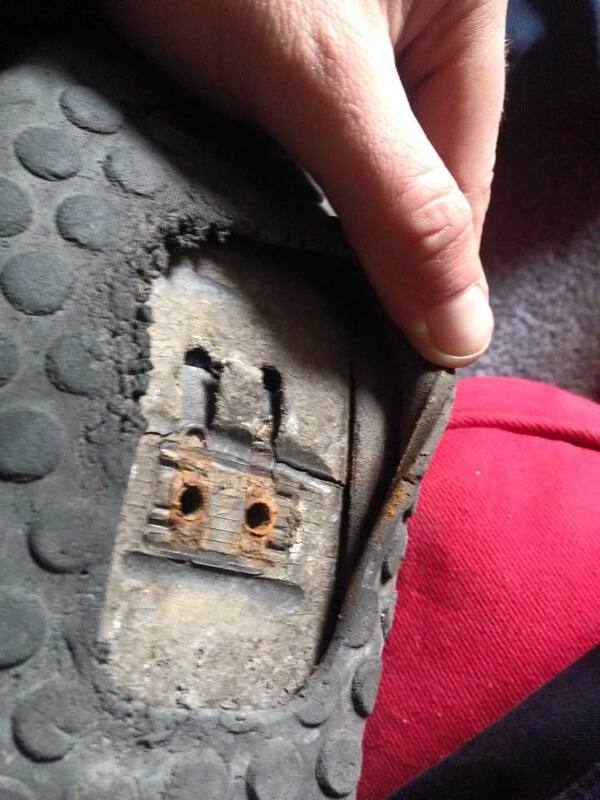 The cleat was not recessed enough in the shoe so I had little support from the rest of the pedal. It gave a real pressure point under the foot. The shoes are completely worn out out now and I have posted some pictures but please remember, Im in my shoes every day and through winter they get soaked every day and dried every day. Im actually quite happy at how long they lasted. Its also worth mentioning a good few of my friends run 5:10 clipped and love them. 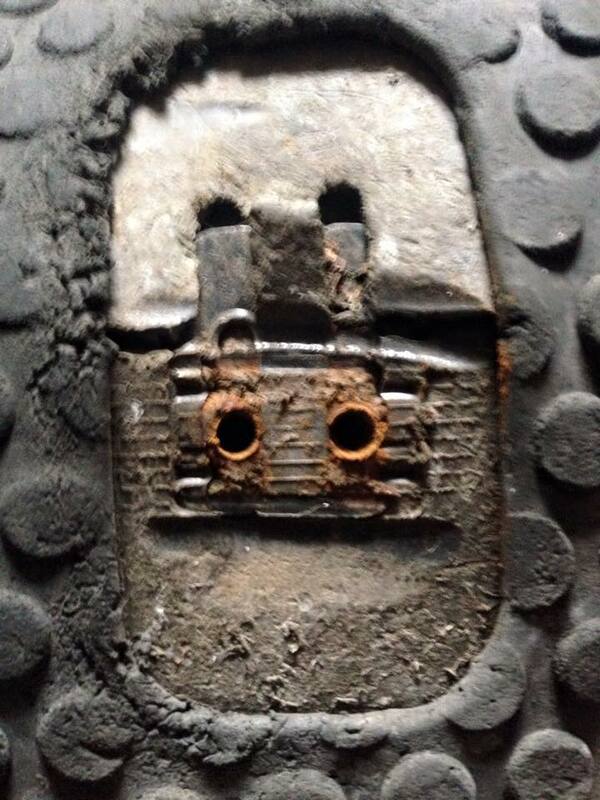 You can see the soles snapped at the cleat and began to degrade (as do all). Anyone else out there used 2FO? Or the clipped 5:10s? Then there are how these interrelate. For example your foot may have a broad heel and forefoot, or a narrow heel and a broad forefoot low volume high volume etc. With a shoe it all depends on the "last" the manufacturer is working to (the last is 3D mold the shoe is moulded too). Whilst there is variation within a manufacturer's range as a general comment you will find manufactures have a general "fit". To check the length of a shoe, take out the inner sole and stand on it making sure it is holding your weight, your standing upright and your heel is right back towards the rear.As a guide your looking for a finger width between your toe and the end of your inner sole. This "IS" the internal length, the numbers on the box will always vary. note: this only works for length! does not reflect width. Put the inner sole back in put em on, waggle your toes, walk about and make sure your heal is secure, a good fit will give you even pressure across your foot, room to waggle your toes and hold your foot firmly in place. Great construction, much lighter, water resistant material, thinner denser foam, a choice of laces and the ability to get that cleat position way back down to china town! All the reviews said these new shoes are the mac daddys. I'm not a "Bike Tester" thats a full time job in its self, if you want to test bikes you have to be able to relate things you feel through the bike to individual design features such as key geometry angles and axel paths etc. If this was not enough you then have to relate this to your body of experience riding different bikes to gain some kind of reference point. So when I talk about the Bronson its just my experience as a rider.